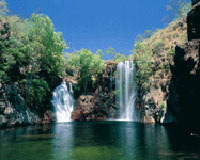 Darwin to Kakadu and Alice Springs to Ayers Rock combined adventure safari camping and accommodated tours. 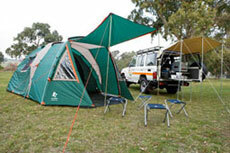 Trip Style: Australia soft to medium adventure camping and accommodated tours. Fly oneway Alice Springs to Darwin then tour Uluru and Kakadu by guided all terrain vehicles. Small group guided camping adventure tour. Kakadu National Park an Australian Natural Icon covers almost 20,000 square kms and is 257 kms east of Darwin Life in the park does depends on the water, also in respect to the tropical monsoon climate that produces the downpours of the tropical humidity of the "wet" season, and the milder weather of the "dry" season. 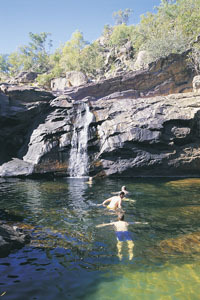 Kakadu National Park is the gateway to Arnhemland. The sealed roads from Darwin to Kakadu is via the Arnhem Highway and from Katherine to Kakadu National Park via the Kakadu Highway. The Bowali Visitor Centre near Jabiru in Kakadu National Park is located 257 km from Darwin in Northern Territory Australia via the Arnhem Highway entrance. If travelling by road, you should allow 3 hours travelling time from Darwin. Maps of the road to Kakadu National Park and of Kakadu National Park. Kakadu is the second largest national park in the world and and is home to approximate number of species: Mammals: 62, Reptiles: 123+, Birds: 280, Freshwater Fish: 51, Insects: 10,000, Frogs: 25, Plants: 1,275. (many are rare and occur only in Kakadu). Uluru formerly known as Ayers Rock and Kata Tjuta formerly known as The Olgas. Both Uluru and Kata Tjuta have great cultural significance for the Anangu Traditional landowners, who lead walking tours to inform visitors about the local flora and fauna, bush foods and the Aboriginal dreamtime stories of the area. It is the perfect oasis from which to explore the wonders of Kings Canyon including the amazing rock formation called the Lost City and the Garden of Eden an oasis of an entirely different kind at the foot of the Canyon. The flora of Kings Canyon offers a clear indication that the climate of this whole area was once vastly different. � See our specials on the search pad on the left or email and ask us for a choice of selfdrive rentals with our specials and promtional offers currently available. Minimum rental is 5 days return or 7 days minium oneway. 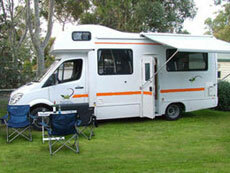 Budget camper or luxury motorhome hire rentals return or oneway from Darwin or Alice Springs.